The key to comfier and cooler sleeps! Sleep in ultimate comfort with gel-infused bamboo charcoal memory foam, cradling your hip and shoulder regions while helping to provide microcirculation throughout the whole body. 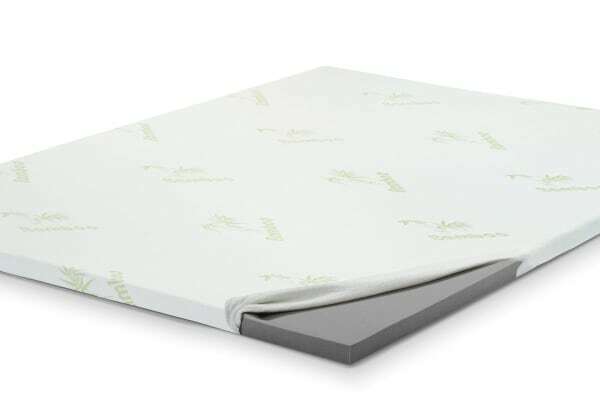 Up the comfort of your mattress with the Trafalgar Bamboo Charcoal Mattress Topper, built with gel-infused bamboo charcoal memory foam to help you sleep easier and feel more supported. 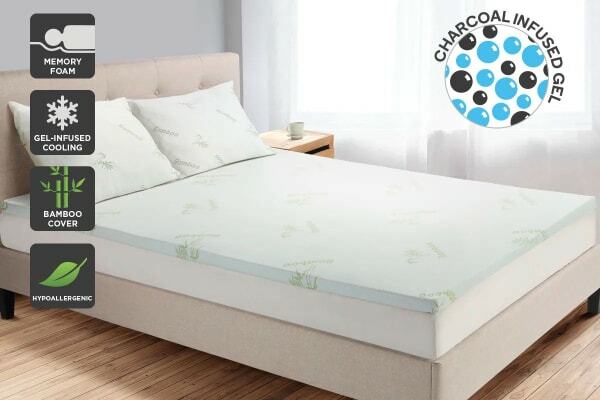 Breathe easier with charcoal’s microcirculation properties and bamboo’s natural hypoallergenic and thermoregulating action, helping you stay cool and comfy while keeping allergy-triggering dust mites, odours and mattress-ruining mould at bay. 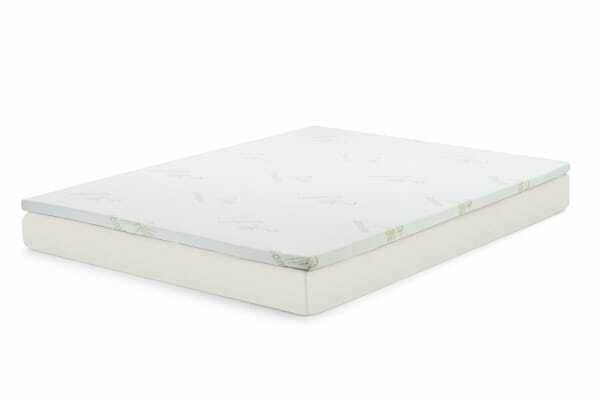 The high-density 100% visco elastic memory foam helps to provide an even weight distribution across your shoulders, legs, lumbar and neck by contouring to the shape of your body. Absorbing motion rather than transferring it, supportive memory foam can also help you move freely throughout the night without disturbing your partner! By taking pressure off bones, joints and muscles, this mattress topper can assist in relieving your body from aches, pains and tension. It gently cradles your body, taking pressure off your shoulders and hips to give your spine the best chance to align correctly while you sleep.